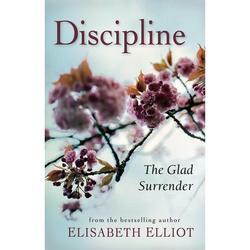 So, Elizabeth Elliot is turning out to be one of the most practical women I’ve ever encountered. She reminds me quite a bit of my dear friend and missionary Treva Turpin, who expresses in beautiful boldness the urgency of our calling. Looking back, I realize the absoluteness with which I sang. I didn’t know exactly what my enlistment entailed, but my allegiance was complete. Of course, neither Elizabeth or John could know at that point what the Lord had in store (and praise God for His plan for this couple!). This Scripture reminds me that my allegiance as one in God’s army is not to make great personal sacrifices – denying myself each day in heroic acts of service. Rather, to live as Christ is my duty each day. There’s nothing extraordinary about that. The more I reflect on this life of enlistment, the more my desire grows to fulfill my duty as a true servant would. Servants don’t wait around for their master to assign tasks. No, instead good servants fill their days with things that please their masters. When the day comes to a close they seek no credit, having just done their duty to their master. What a drastically different mindset. I’ve had a complex mix of emotions since arriving here. Sometimes doubts of inferiority creep in to steal my joy, and I feel myself requiring more affirmation and man-made credit for the work of my hands. Then, I think about my duty to my Savior and Master and realize my steps to please the Father are exactly the expectation. I can rejoice in that. I can sing praises knowing that God designed me for discipleship. In the very smallest particle pieces of who I am, God knit together a creation to reflect His glory and serve completely. “How do I know I’m called?” Elliot writes as she quotes every man’s fears and suspicions. But instead we should ask the question, “How do I know I’m not called?” We can be sure God designed us for service to display His glory, just as surely as we can be sure the Sun was made to shine and a flower was made to bloom. This entry was posted in Philosophy and Religion.